Affordable, integrated analog/mixed-signal design flow that is easy to customize to your environment. 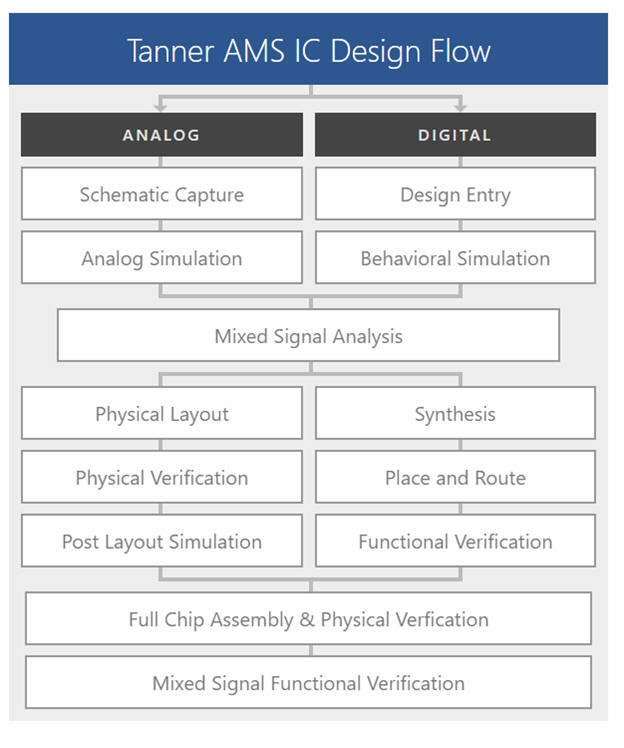 The Tanner AMS IC design flow is a complete end-to-end design flow for analog/mixed-signal (AMS) IC designs. The flow consists of highly integrated front and back-end tools, from schematic capture, mixed-signal simulation and waveform probing to physical layout and foundry-compatible physical verification. All the tools in the flow share a common architecture and user interface.